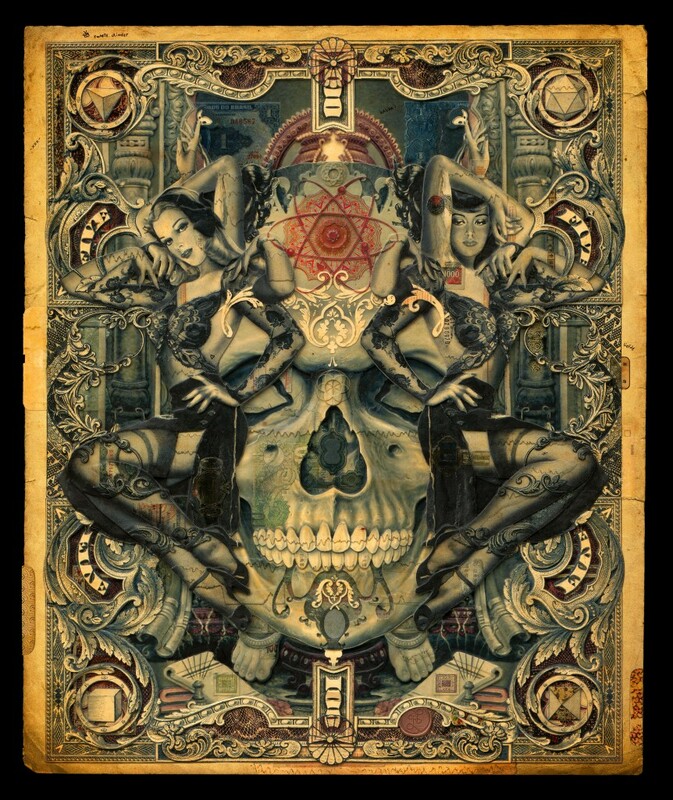 We’re excited to release a limited edition print by Handiedan in conjunction with her debut solo exhibition at the gallery, The Fourth Dimension: Time. Dutch-artist Handiedan pushes the boundaries of mixed-media work by creating collage based reliefs of classic female pin-ups using both digitally created and found components. Deeply influenced by scientific and spiritual interests – from Quantum Physics, Cosmology and Numerology to Sacred Geometries, Metaphysics and Eastern Philosophies – each work is a treasure trove of symbols that embrace the various forms of vital energy permeating the universe and mirror the eternal motion of life.